After work on Friday, I headed over to Bolt to check out fabric and then to next door neighbor Close Knit to look for yarn for the Central Park Hoodie. Here are the great things I came away with. 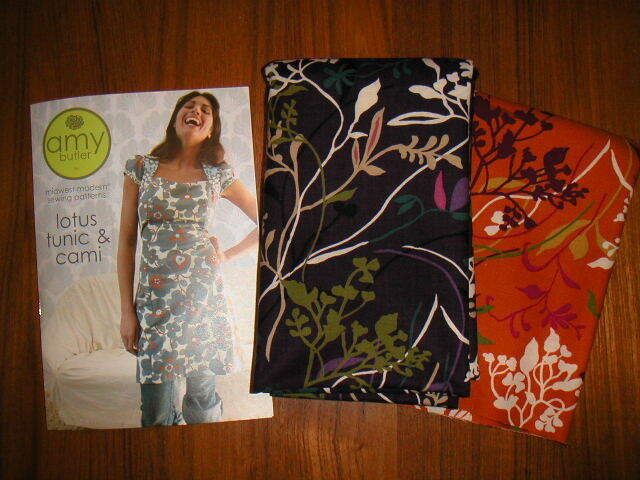 I got one of Amy Butler's new dress patterns, Lotus. I also wanted the Anna pattern, but the store didn't have it in stock yet. I plan to make the cami top with cap sleeves, with the main bodice in purple and the contrasting parts in orange. The fabric is the Loft 1800 Urban from Moda. 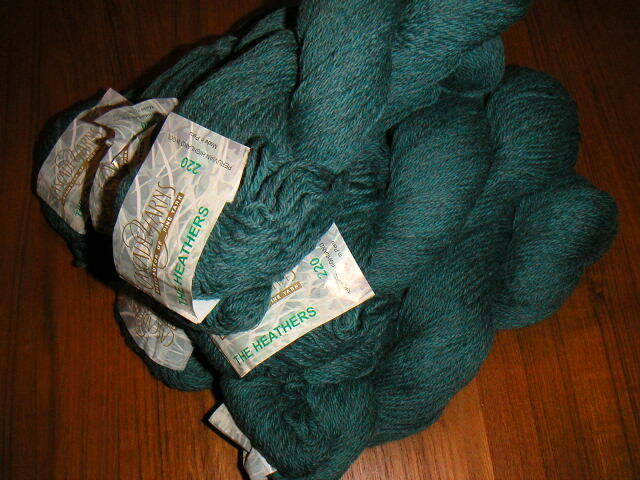 I got some Cascade 220 in silver spruce heather. Since I'd been working on that plaid wool dress for a while, I decided to start with knitting first and cast on for the back of the CPH Friday night.